Stephen and I teach the 2’s and 3’s class at church. After the lesson they usually have a coordinating page to color. That is all fine and dandy but for Easter I wanted to do something special to help them remember the story of Christ’s resurrection. 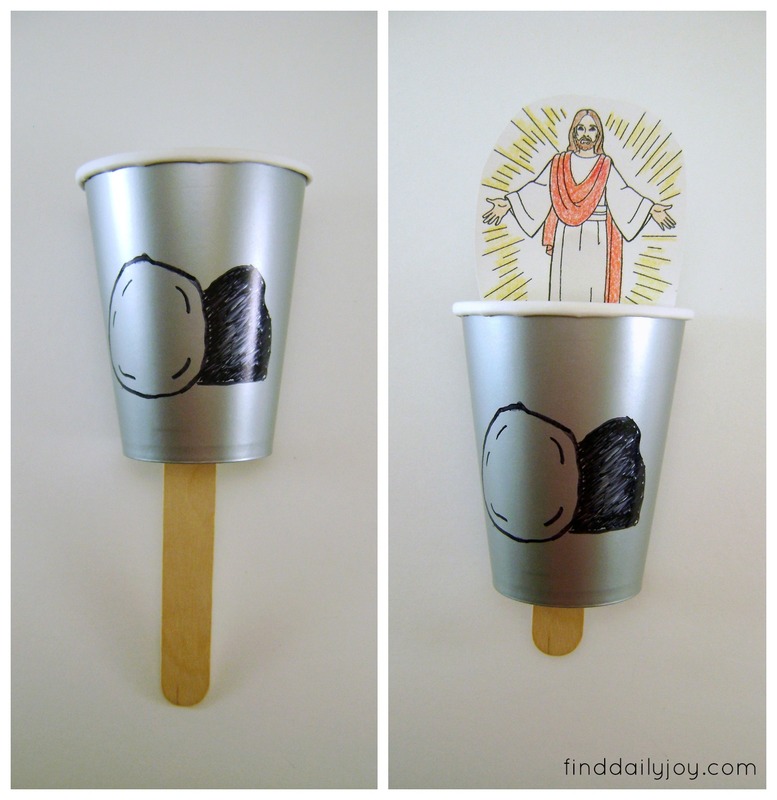 Once this little project is assembled, the kids will enjoy sliding the popsicle stick up and down in the cup to show Jesus rising from the tomb. 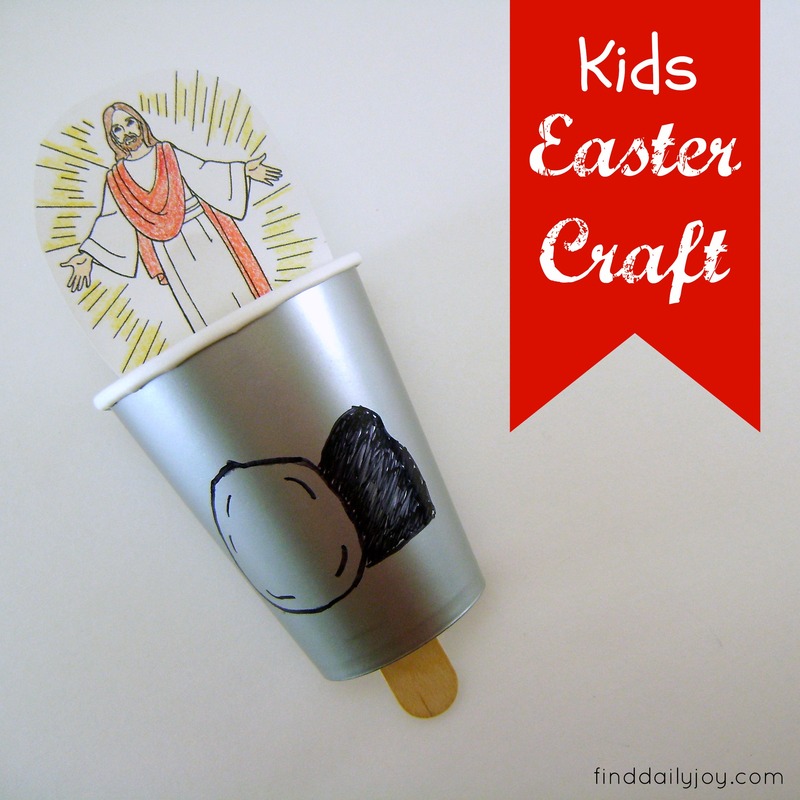 Depending on the age of your child, they may be able to do most of this craft on their own. But if you are wrangling twelve 2 and 3 year olds (like us) than you will end up doing most of the craft and only have them color. I did an internet search and found this coloring page. After downloading the picture I cropped it and resized it to about 3″ x 2.5″. 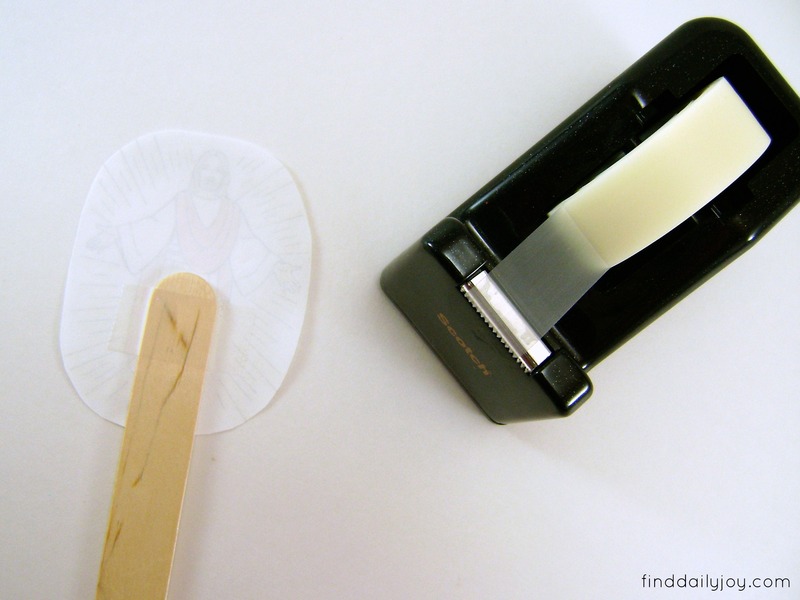 You will need to print or draw (if your artistic) the picture of Jesus on white card stock. Then color the picture and cut around the outside of the drawing. Tape a popsicle stick to the back of the picture. On the outside of your cup draw the stone and opening of the tomb. I used a Sharpie because my cup had a glossy surface. 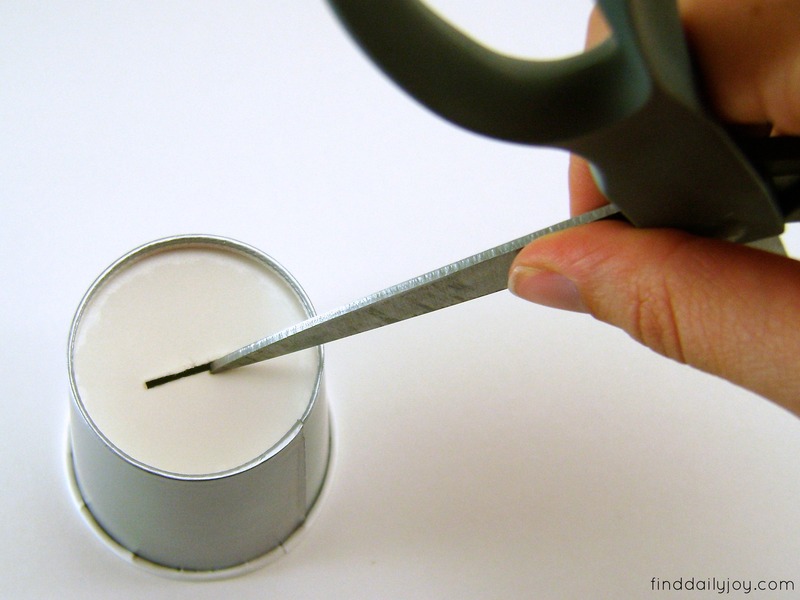 Use scissors to poke a slit into the bottom of the cup. 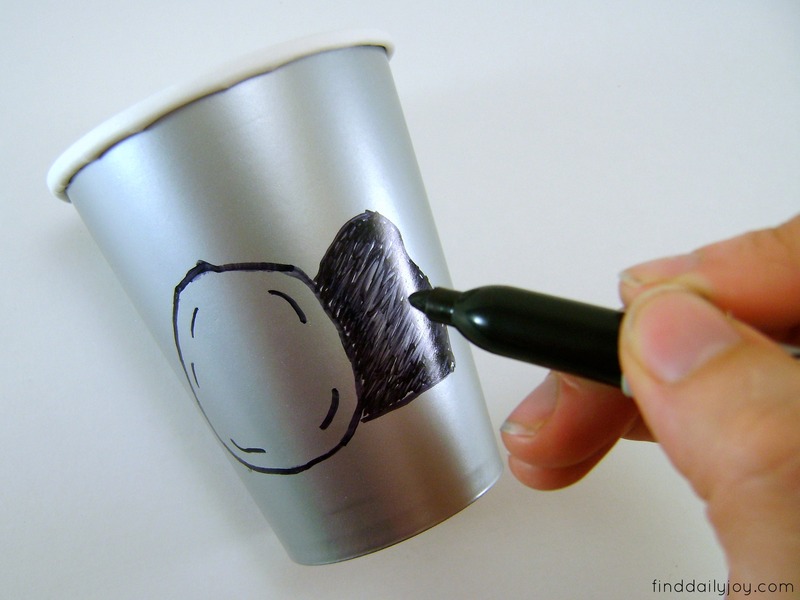 Be sure the slit is parallel to the stone you drew on the cup. 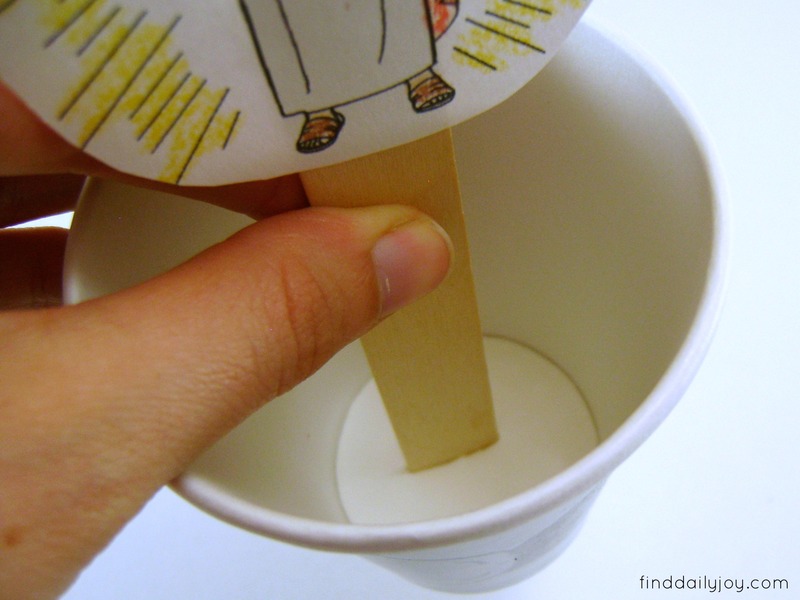 Slide the popsicle stick into the slit from the inside of the cup. Now you can pull down on the stick to pull Jesus down into the tomb and then push up on the stick to make Him rise out! I hope that you enjoy celebrating this special holiday with your little one! I can’t get the printable with the Jesus cut out to work. Could you send it to me? I am working on VBS crafts for a mission trip to Guatemala and we want to use this idea, with a few changes. Thanks! Unfortunately I don’t have the Jesus printable. 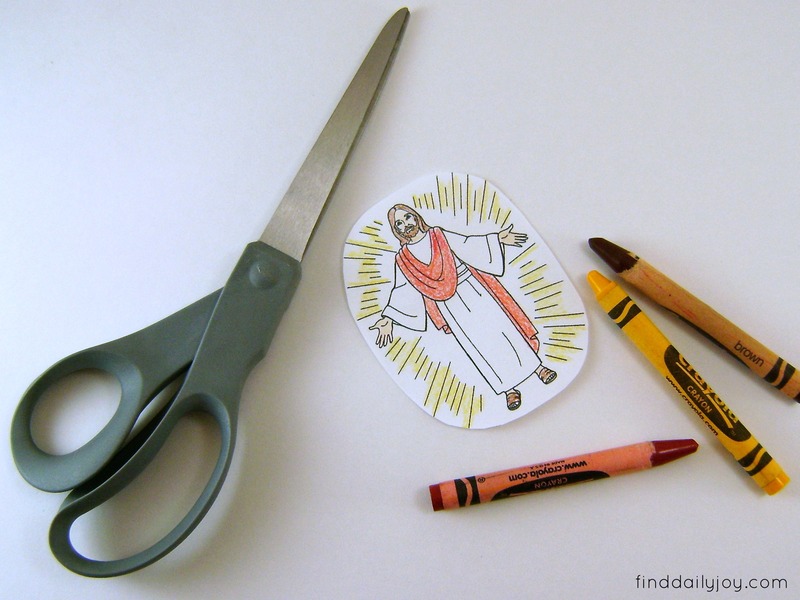 I found the image by searching for “Jesus coloring page” and I’m sure you could find something that would work as well.